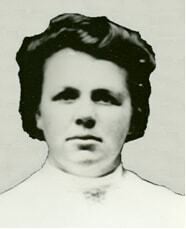 Irene Watson, "The Rose Lady"
Before opening her own flower shop Irene interned at Brown’s flower shop in Utah. She gained valuable skills in design while there and she learned many other things about the floral industry. She also learned about the growers in California and how to order and ship flowers from there. During the years between the end of WWII and 1950 Ernie and Eve had grown the business, establishing 3 branch locations in the East Valley, and franchising locations in Tucson and Flagstaff. Also in the 50’s, the flower shop purchased a large neon sign. This sign along with many other neon signs along their stretch of road (which had become the US 60) would become famous in Americana. The Johnson and Haw’s familiesThe history of the Haws and Watson families dates back to the 30's and 40's when Lyman Haws and Ernie Johnson were best friends in high school. 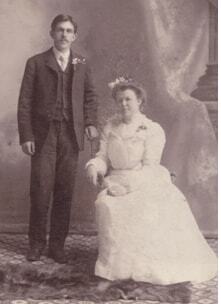 Ernie married Eva Watson and, together continued Watson Flower Shops. Lyman developed his floral design talent at Watson Flowers. 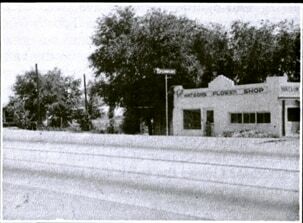 Many years later, in 1964, Lyman joined the Haws family business and built Haws Flowers and Gifts on Mesa Dr in Mesa until he retired in 1988. After Lyman retired, Henry (Lyman’s brother) operated Haws Flowers with his wife Edna for many years. 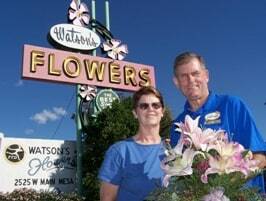 Both Henry and Edna retired from the floral industry in 2009 and asked Watson Flower Shops to serve their customers. 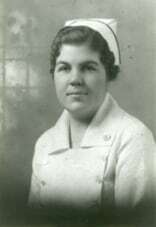 Consolidating the BusinessIn 1950 Ernie Johnson passed away and was survived by his wife Eva and their three children. Now with the responsibilities of raising her family and running a business on her own the other locations were closed. Ownership Passes to the 3rd Generation In 1976, Eva’s son David with his wife, Pam, took over management of Watson Flowers. With many years experience with farming, David continued the family tradition of growing flowers on the farm originally purchased by his grandparents. David & Pam Johnson, owners of Watson Flower Shops 1976-2009In 2005, three years of construction of the “Valley Metro” light rail train system was about to start in front of their Mesa store. David and Pam knew that access would be greatly limited during construction of the Metro system. They wanted their customers in the East Valley to be able to reach their flower shop easily so in the Fall of 2005 David and Pam opened a branch location in Gilbert, AZ. The new store is conveniently located on the corner of Val Vista Dr and Guadalupe Rd. Ownership Passes to the 4th GenerationIn 2009, David and Pam retired from the floral industry. Management of Watson Flower Shops has now passed to two of their sons, Nathan and Jacob Johnson, and both are eager to uphold the family tradition of growing and selling the longest lasting, highest quality flowers at a reasonable price. Their main store is still located on the original acre of land purchased by Great grandma Irene Watson in 1931.Nathan graduated from Arizona State University with a degree in finance while working at the family business. 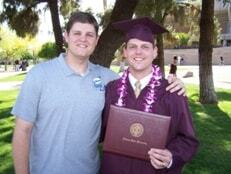 Jacob also graduated from Arizona State University with a degree in management. 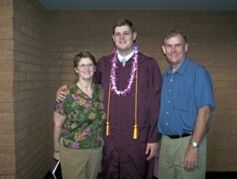 Both of David’s sons grew up being very involved in the family flower business.Why you should choose Watson Flower ShopsWatson Flower Shop has a proud history of service to the east valley and the Phoenix Metro area. Great grandma Irene Watson instilled three qualities in the generations of florist that followed her. 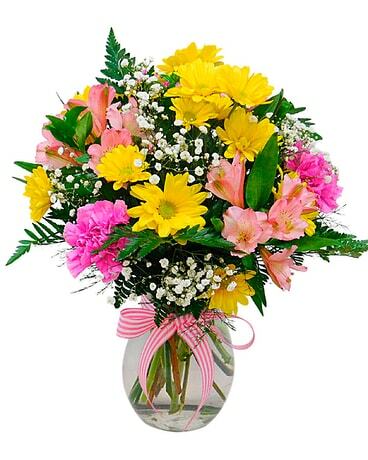 The three qualities are to sell the highest quality flowers with the best possible service at a reasonable price. Every generation of florist since has honored her memory by upholding this family tradition. So what sets Watson Flower Shops apart from the others? It is the foundation upon which our flower shop is built. Each generation has grown up as a florist; each generation has acquired the skills and knowledge necessary to have over 90 years of satisfied customers. What you can expect from Watson Flowers is professional courtesy in customer service and the highest quality, longest lasting flowers every time you order. When you order from Watson Flowers you can order with confidence knowing we will give your order the personal attention it takes to make your gift perfect. Regardless of the occasion, the recipient of your floral gift will be delighted. We guarantee it or your money back. That’s the way Great grandma Irene Watson did it 90 years ago and that’s how we do it today. E-mail: info@watsonflowers.com Our shop will always be closed on the following holidays: New Year's Day, Easter, Mother's Day, Memorial Day, Father's Day, Independence Day, Labor Day, Thanksgiving Day and Christmas Day. If you have any questions or need more information, please call us directly at any of our Valley Locations. We're always here to serve you and make your flower-sending experience a pleasure. Mesa, Tempe, Gilbert, Chandler, Phoenix, Scottsdale, Sun Lakes, Queen Creek, Apache Junction, and Gold Canyon. We are a member of Teleflora, an association of florists with over thirty thousand members worldwide. 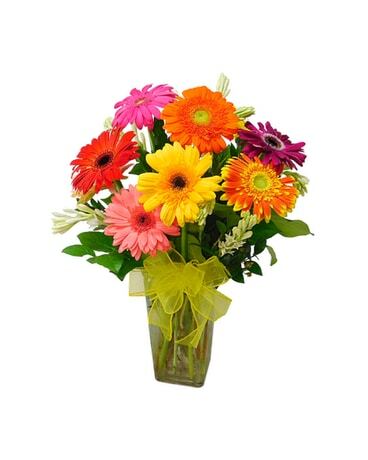 Through Teleflora, we can send your flowers nationwide or around the world. Fresh flower guarantee ! We carry a full line of the freshest flowers available, from California, New Mexico, Hawaii, Thailand, Holland and South America. The flowers we receive are "guaranteed fresh." We subscribe to and practice the "Ten Steps to Extended Flower Life" to guarantee the freshest and longest lasting flowers in the floral industry. We carry a large inventory of: Fresh Flowers Pottery, Tropical Glassware, Blooming Plants, Silk and Dried flowers Green Plants, Extensive gift line of baskets with Mylar and Latex balloons. Our design staff has over 180 years combined design experience. They are unmatched in their artistic and creative ability. Our professional team of designers custom design distinctive floral arrangements in a variety of styles. Including: Traditional Designs, European Classica,l Ikebana, Modern, Tropical, High Style, and Exotic. If the hospital or mortuary you’d like to send to isn’t on this list, give us a call anyway, we just might deliver there. Returns need to be within 3 days of purchase and must have a receipt.